Casio Middle East, the regional arm of Casio Computer Company - a multinational consumer electronics and commercial electronics manufacturing company, has launched its latest line of mercury-free LampFree projectors. The latest line of projectors combine laser and LED hybrid light source that lasts up to 20,000 hours while sustaining a high brightness, said a statement. The announcement was made recently at a special press conference and product demonstration of the new projectors held at Casio Middle East office in Jebel Ali Free Zone, Dubai, UAE. The launch of the new line of projectors falls in line with the company’s continuing commitment and support for the ‘Minamata Convention on Mercury,’ an international treaty designed to protect human health and the environment from anthropogenic emissions and releases of mercury and its compounds, it said. During the launch, Koji Naka, managing director for Casio Middle East, spoke about the company's latest offerings while Shingo Yamaga, senior general manager of Projector Division at Casio Middle East, gave a presentation on the Minamata initiative and the emergence of mercury-free technology. In addition, Mohammed Kamel, business development manager of projector division, spoke more about the latest technologies being utilized in the newly launched range. 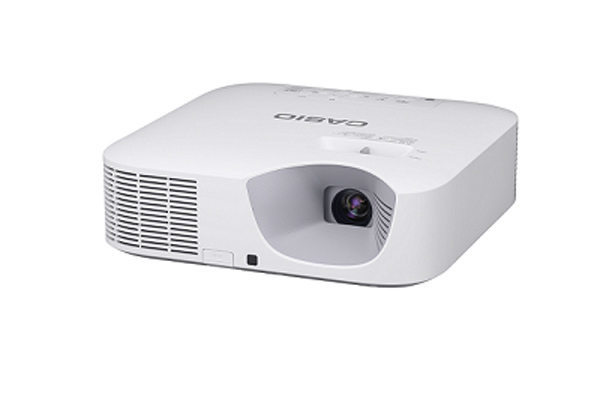 According to Naka, the new line of projectors can be used for education, business and commercial applications. Offered in five different categories, the mercury-free LampFree projectors presents users with key advantages like simple functionality and excellent cost performance; advanced functions that respond to various applications; easy installation in limited space options and offers an enhanced visual communication experience. The projectors comes equipped with a long-life light source that reduces the need for maintenance and cost while also extending operating life to approximately 20,000 hours and reducing the power consumption by about 45 per cent--resulting in remarkably reduced electricity bills. Moreover, each projector is highlighted by a dust-resistant design that helps eliminate the constant need to change the filters and sustain high brightness--with speedy projection times of five seconds with no warming up or cooling down time needed. “Our concern for this timely issue has led to the company's decision to eliminate the use of all mercury-based and emitting products--further resulting in our introduction of the world's first mercury-free projectors,” he said.